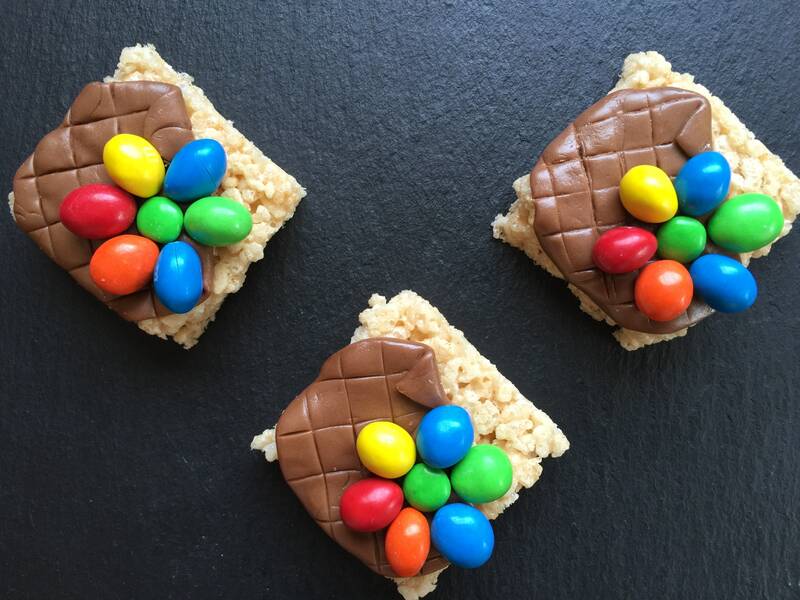 These colourful Rice Krispy treats (or rice krispie treats.. whichever the correct spelling is! I’ve seen it both ways) are inspired by Disney PIXAR’s movie Inside Out, and in particular by the loveable character Bing Bong. Bing Bong was one of the most memorable characters for my kids when we saw the movie, they love the songs that he sings. These treats would be perfect for an Inside Out themed party, but any kid is sure to love these colourful treats whether they are familiar with Bing Bong or not. Tootsie Rolls CandyRecipe:- Coat the bottom and sides of an 8×8 inch baking pan with non-stick cooking spray. – Melt 3 tbs butter in a large saucepan. – Add 4 cups mini marshmallows and stir constantly until melted. 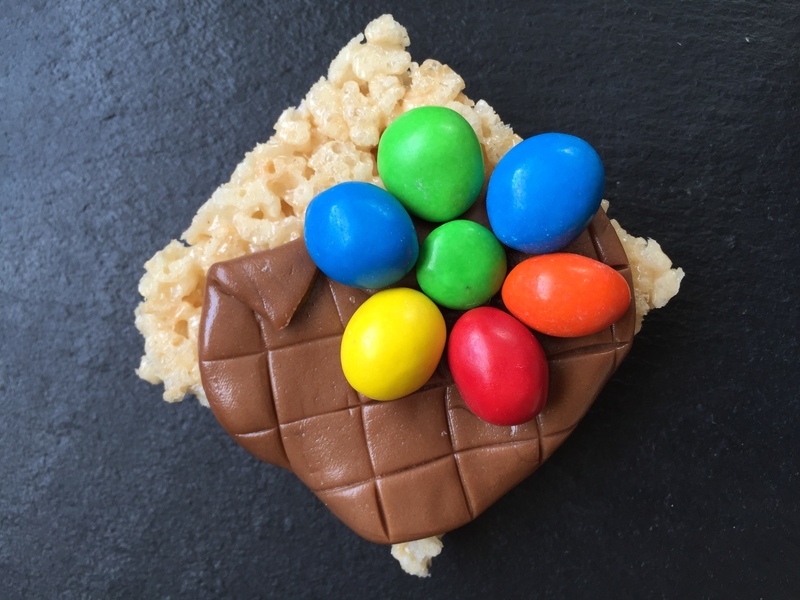 – Add 6 cups Rice Krispies cereal to the marshmallow mixture and stir until all the cereal is coated. – Turn that mixture out into your baking pan and use a piece of wax paper to press the cereal mixture down firmly. – Allow your treats to cool completely. – Cut treats into nine even squares. – Unwrap two tootsie roll candies and roll them together into one large ball. 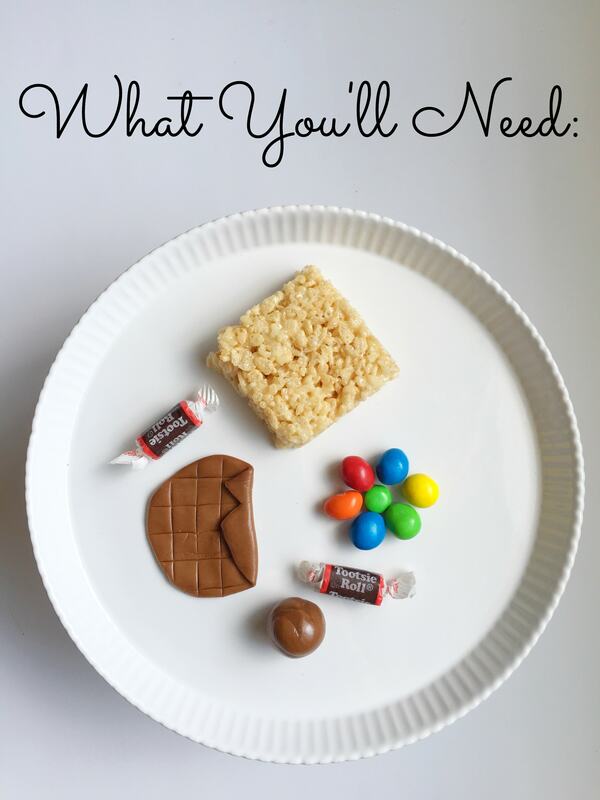 – Flatten the tootsie roll candy ball and drape it across one treat. – Fold one corner of the candy over and cut out a notch to form Bing Bong’s shirt collar. – Use a knife to make a grid on the surface of the candy resembling the checkered pattern. – To make Bing Bong’s rainbow flower lapel pin place one green M&M’s candy on the lapel and then use Peanut M&M’s to form the flower petals. – Repeat the process for the remaining eight treats. Don’t forget to pin this idea for later and share on Facebook! I love Rice Krispy treats! I would definitely make these! These look delicious and really simple. Will give them a try!